Sheds go through a lot in their lifetime – whether they’re facing Britain’s ever-changing weather or being used as football target practice in your back garden. Replacing damaged boards as soon as possible is important. 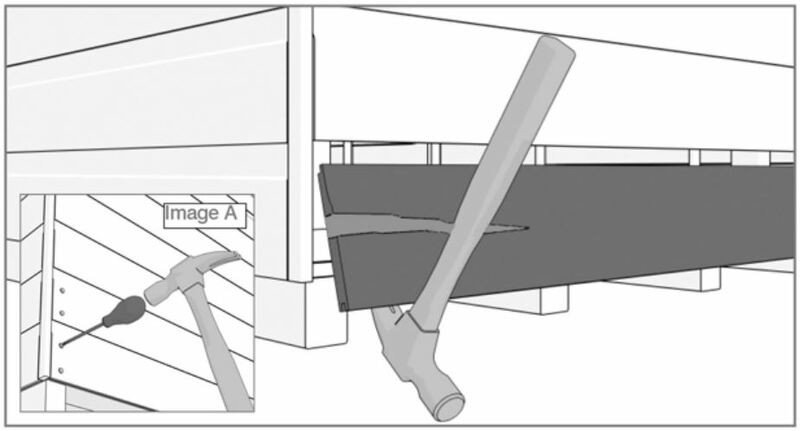 Acting fast reduces the impact a broken board could have on your shed’s overall sturdiness or weather-resistance. Replacing any damaged components is an essential part of shed maintenance. If the board is no longer waterproof, this could lead to damp or rot. Damp could spread to the rest of the building’s timber, causing damage to the wood. If you cannot replace the board straight away, using a wood-filler to patch any cracks or holes can be a temporary fix. Ensure that the new board is a match for your current building – a tongue and groove shed requires a replacement tongue and groove board. Using a claw hammer, carefully prise the board away from the framing. 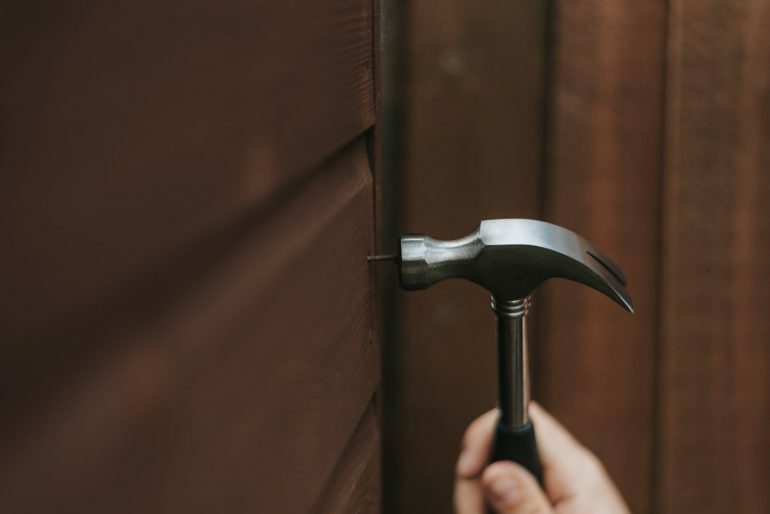 If the board is difficult to remove, you can use your hammer and a screwdriver as a guide to push the nail fully through the board to the other side (Image A). Dispose of the damaged board. Place the replacement board so that the ‘tongue’ side fits securely into the ‘groove’, with no visible gaps. Attach the board to the framing using your hammer and the 38mm nails. 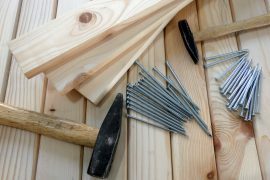 Use the existing nails in the other boards of the shed as a guide. Using your timber brush, treat both the outside and inside of the newly attached board to add a layer of protection. 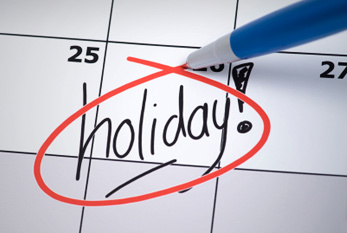 It’s important to treat your building annually, so this could be a good time to re-treat the rest of the building! 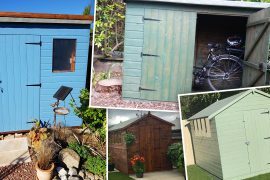 If your shed is coloured with a timber paint, this could also be a great opportunity to give it a fresh coat of paint and keep it looking beautiful. Need a replacement board? At Tiger Sheds we stock replacement shiplap boards, overlap boards, floorboards, loglap boards and pressure treated shiplap boards! You can also purchase replacement glass, styrene, framing and even a fixing kit to help make your repair quick and easy. Head to our Spares and Repairs page to find exactly what your shed needs. Brew Big. Pay Less. 45p a Pint with the Brewery Shed! 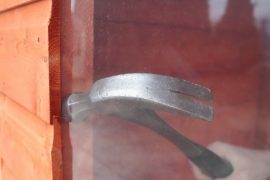 How to repair a broken shed window, stress free!